Today I was pleased to meet the winner of the NOBs photo competition, Karen Brown from Tottington in Lancs. Karen had entered a lovely pic of her GSP as a pup in the competition, which was held on the NOBs forums. NOBs had kindly asked me to judge their photo competition, and although the standard of entries was very high, Karen's pic really jumped out for me. Among her prizes, Karen wins a year's subscription to Sporting Shooter. It was fun to meet the winning subject too - now almost fully grown! The competition brought in some stunning entries, and helped raise money for the worthy charity, Canine Partners. Today I've been to Belvoir, near Grantham in Lincs, for a NOBs gundog training day. Grant, better known as 'Hedgey' on the forums (pictured below with his two black labs), had organised the day and was delighted with the turn-out. It was a relaxed, informal day, held in the fields beside the lake, overlooked by the splendid Belvoir Castle (which you'll remember if you went to the CLA Game Fair at Belvoir in 2005). Some 30-odd NOBs members got the chance of some expert tuition for themselves and their dogs, in preparation for the coming season. It was a friendly group, and I was made to feel very welcome. 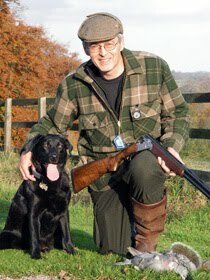 Chatting to Grant, it struck me that there's a need for more days like this - something to bridge the gap between the enthsiastic owner who is lacking confidence in his/her own and dog's abilities, and the more formal shoot days or gundog tests and trials. Maybe Sporting Shooter could join forces with NOBs to arrange a series of similar events around the country. What do you think? Would it work? Would you be tempted to go along? If we get enough support for the idea, I'll do my best to make it happen. I just had a phone call that made my blood run cold. A police officer is "investigating the reckless discharge of a firearm"... I have a connection with the place involved, and apparently I (roughly) fit the description. As it happens I was 600 miles away at the time, and can prove it, but they still want to send a couple of coppers round to talk to me about it. No doubt they'll insist on trawling through the gun cabinet "while we're here". Knowing one or two of the characters who live round there, I wouldn't be surprised if the complaint is a bit of mischief cooked up by an anti-shooting newcomer. So knowing all that, why is it that talking to a copper makes me feel like I'm back at school, and have just been caught having a sneaky fag behind the bike-sheds? It certainly put the wind up my wife, who was alarmed to be told that the police were trying to trace me in connection with a firearms incident. I expect there'll be some curtain-twitching in the street when the cops roll up at my front door too. I just hope that, when the police get complaints like this, they remember that some folks just don't like shooting, and enjoy stirring up trouble for shooters. It's always fascinating to look at the 'stats' pages of our website, this blog and the podcast. You can see trends in how many people are visiting at different times of day and days of the week, and what link they clicked on to get there. Here's the latest map showing where our podcast has been downloaded. Naturally enough, most of the listeners are in the UK, with a fair few from the USA, but it's interestng to see we have listeners in some less likely places too - including Hong Kong, Brazil and Japan. Well, I just got back from the Midland. What a great fair! This year it seemed busier than ever, and somehow it had a particularly warm, friendly atmosphere (or was that the Jack Daniels?!). The team on the Sporting Shooter stand worked hard throughout, and we met hundreds of readers with positive things to say about the magazine, and only the odd one with a gripe (mostly about badges gone missing in the post - and yes we will sort those out as soon as the new stock arrive). General impressions of the fair seemed very positive. Most traders agreed that it had been particularly busy on the Saturday (one even complained it was too busy!). What with a successful Midland, and the offer of a 60% refund on the CLA game fair, most traders seemed to be in buoyant mood. Visitors were generally happy too. In fact the only grumble I heard was from a group who had arrived at the West Gate at 6.30 and had to wait outside (with conflicting info from the security guys on the other side) until the gates opened at 8. It will take me a few days to sort through the big pile of business cards in my pocket, get all the pictures off the camera and go through my notebooks. For now, though, here (below) are a few memories that sum up this year's Midland for me. Apologies to anyone I inadvertently missed, or promised to visit and never quite made it - despite the best intentions, there's just never enough time. I lost count of the times I set off to visit a particular stand or find a particular person, then got sidetracked and hours later remembered what I'd meant to do in the first place! Mike Yardley tries out the amazing new ST-2 Shooting Simulator, on the Acorn Traps stand. I was astounded by the potential of this system - Mike will be writing about it in a future issue. John Swift of BASC with Graham Downing's excellent book on the association's history, published to mark its centenary next year. Gary the ferret, a regular visitor to the fair, takes his owner Steven Holmes (9) for a walk. They had travelled from Cannock. Colin Jones from the Midland Gun Co with one of the new Demon semi-autos they are selling at £399 (and even cheaper on a special game fair offer) - remarkable value, and selling well at the fair. David Hitchman with one of his Berger Picards. Apparently they are an old celtic herding/guarding/droving breed, and there are only 23 in the country - most of which appeared to be going round the show with David, Shirley and their family! And finally, for now anyway, Andy Norris from Browning International showed me this new Browning T-Bolt .22LR. It's an amazingly fast straight-pull bolt-action, with a double-helix 10-round magazine. It comes in regular or carbine barrel lengths, and is threaded for a moderator. It's in the shops now at around £500; there's a .17HMR version due out next year. Spent a lovely day fishing on the River Anton, just up from the famous Mayfly. Glorious sunshine, clear water, a warm breeze - and I caught a brace of brown trout. Perfect! It was my first experience of chalkstream fishing and I think I could very easily get addicted. It's so exciting being able to see the fish, stalking them like you would a rabbit or a deer - much better than flogging a stillwater with no idea what's going on under the surface. One of the brownies took the fly just before it hit the water, leaping a good foot from the surface to catch it in mid-air. It made a nice relaxing break after the rush of the last couple of weeks of getting the November issue away to the printers. Tomorrow I'm off to Shropshire for the Midland Game Fair. I don't know whether I can get an internet connection at the show itself, but either way I'll post some highlights from the fair here as soon as I can. Have you ever tried to fix a welly or a game-bag with glue? It just never seems to work - the stuff doesn't stick, or it cracks after a couple of days. I used to swear by Araldite, paracord and gaffer tape. In fact, take away those three items and most of my kit would fall apart. The car too, I shouldn't wonder! Well now there's another item on the list, this stuff - Repair Extreme glue from UniBond. Quite simply, it does everything I always wished glue could do. It sticks like you wouldn't believe, to just about anything. And it sets flexible, clear, waterproof and heat-resistant. So far I've reattached the sole of a shoe, fixed a broken bag strap and mended a pair of waterproof trousers with a split seam. And they've all held, showing no signs of coming unstuck after use. Give it a try - I got this tube for a fiver at Rymans, but it's probably available just about anywhere that sells glue. See you at the Midland! We're off to the Midland Game Fair at the end of the week: Sporting Shooter will have its usual stand in Gunmaker's Row, near the East entrance. We'll be running a draw for a Beretta shotgun, so make sure you come along and enter (it's free!). Also on the stand you'll find our guns and auctions expert, Diggory Hadoke, with a selection of interesting old guns. We have a special subscription deal available for visitors to the fair, so if you've been putting off taking out a subscription this is the moment to grab your chance. Plus the editor and staff will be there to talk to readers, answer questions, and listen to your ideas for how we could improve the magazine. The Midland is always a highlight of the year for shooting folk, and this year promises to have a real buzz after the CLA Game Fair was cancelled due to bad weather. It's the event's 25th year, so there are some special celebrations planned. The Midland is at Weston Park, Shifnal, Shropshire, on Saturday 15 and Sunday 16 September. More details at midlandgamefair.co.uk. "People like you need to be shot..."
Back by popular demand, here's that infamous answering machine message, left by an anti after we published a feature on rabbit control. Be warned that the language is rather offensive - NOT SUITABLE FOR CHILDREN. Regular readers will know I'm a fan of the book Each Day A Small Victory by Chips Hardy. 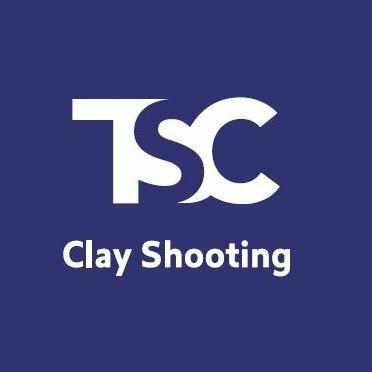 Tobias from the book's publishers, Can of Worms Press, is holding three book signings over the next few days, and has kindly extended an invitation to any Sporting Shooter readers who'd like to go. I'm planning to go along to the Fulham Road event. Click on the invitation above to see a larger, legible version. We have a lot of products passing through the Sporting Shooter office. Some are good, some are not so good, and some are absolute rubbish. Very few of them end up being adopted into part of my regular shooting and outdoor kit. Here's a couple that are so good I'd actually spend my own money on them. First, the Nomad Quadrider waterproof fleece. I hadn't come across Nomad clothing until last year when I was stalking at Gaick. The stalkers and ghillies there were all wearing what looked like regular olive fleece jackets. In the rough weather we were expecting, that seemed like sheer foolishness, so I asked. Turned out they were Nomad fleeces, made by Nomad UK with a special fleece material that's so waterproof you can actually make waders from it. It has all the benefits of fleece - breathable, soft, durable and non-rustle - and it's as waterproof as the best hi-tech mountaineering jacket. Then I visited the Scottish Fair at the end of June, and Nomad UK had a stand there. So I dropped in for a chat, and walked out with this Quadrider. It's a pullover-style fleece with a large hood, neck zip, drawcord waist, two side pockets and a large chest pocket that's ideal for binoculars etc. So far I've used it for fishing and pigeon shooting, both on chilly wet days, and it's been fantastic. It just does the job, so you can forget it and get on with what you're doing. And to my mind, that's what good kit is all about. The price is £195, so it's not cheap, but then this is not to be confused with your average fleece. See it, and the others in the range, at www.nomaduk.net. Second item: the Stanley 'Outdoor' series vacuum mug. Unlike the cheap stainless steel vacuum flasks you see on special offer at the petrol station, Stanley have been making quality outdoor flasks since 1913. I've seen years-old Stanley flasks used by stalkers and pigeon shooters - battered and scraped, but still going strong. This one specially appealed to me as it's the mug type with a plastic stopper. You don't have to pour out a cupful of hot liquid to balance on a straw bale, keeping one eye on the sky (if you're having a blank day, just pour a drink from your thermos - it's guaranteed to bring the birds in!). With this flask, you just loosen the collar at the top, and drink from it like a large mug. Then screw it tight again to keep the heat in. I've had a few cheap flasks with gadgety 'pop n pour' stoppers that fell apart after a few trips. But this one is solidly made and is still going strong - plus it keeps the tea nice and hot for hours. It holds just under half a litre. More details here. In the UK, the flask is distributed by Garlands. Call them on 01827 383300 for your local stockist, or ask at your local gunshop.